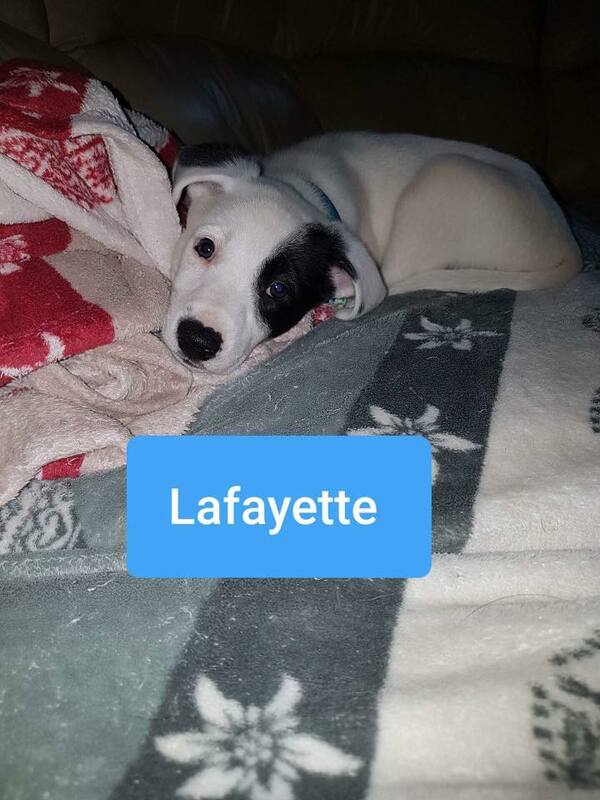 Lafayette the lovable. Lafayette is a stunningly sweet little man that loves to cuddle up into you and sleep the day away after a nice play , Lafayette can be found most days lying in the sun topping up his tan. He is wonderful with humans and dogs of all ages . Lafayette would love a home where someone is home most of the day. 8 Weeks Old at start June, we’ve no actual idea of breed but possibly lab/terrier/lurcher. Grown Up Size is hard to estimate also but medium – biggish at a guess.